Any project is a kind of unique assignment and has something new and unknown that can cause uncertainties and result in losses or earnings. Therefore, Chinese people need to manage all changes and risks of projects and they need to do two main tasks in project risk management. The first task is to reduce the uncertainties of projects through collecting and processing information. The second task is to decrease the losses and increase the earnings caused by project risks. Chinese believe project risk management is the core work and the key to successful projects. Chinese have their own ideas, attitudes and methods for project risk management because of their different history and culture. Chinese trust that only people can really add some values to projects through project change and risk management because certain things of projects are unchangeable and cannot add any more value to projects. Project risk management is one of the knowledge areas in the Guide of Project Management Body of Knowledge (PMBOK) (Project Management Institute, 2013) of Project Management Institute (PMI). And it is also an important part of IPMA Competence Baseline (ICB) (International Project Management Association, 2013) of International Project Management Association (IPMA). It is a part of the Project in Controlled Environment (PRINCE) (Office of Government Commerce, 2009) of British Government too. 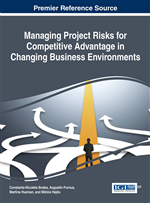 This shows that project risk management is important in all these European and American project management styles that have been used by most parts of the whole world. But there are some differences in Chinese style of project risk management. Chinese have different ideas, attitude and methods for project risk management because of the influences and effects of Chinese traditional cultural and management philosophy. Especially, there is a book named Book of Changes (Sun, 2010) that has influenced Chinese more than 6000 years and that affect Chinese in a lot of areas and aspects. Two main schools of Chinese cultural and management philosophy, the Taoism and Confucian, derived from different versions of the Book of Changes about 2700 years ago. The Book of Changes tells law of changes, causes of changes and drivers of changes about all things in the world. It is originated from the discovery of the observation to the changes in the world by ancient Chinese. They found the sky changes that cause the sun is on in the day time and the moon is on in the night time. They found the earth changes that make mountains in some places and rivers in other places. They found people changes that come men and women. And also found all animals and plants changes that result in males and females. So the whole world is in changes. Then they believe all these changes are caused by two original powers or elements, Yin (with the abstract like ▀▀) and Yang (with the abstract like ▬) (Wang, 2013). They are against each other and they are the unity of two opposites that make the world continue to change and develop. Therefore, Chinese got the idea and attitude that changes are the most important things of management because people can decrease loses and increase earnings through the management of changes. This is the attitude toward project risk management as well as all risk management. One ancestor of Chinese named Fu Xi (Du, 2013) invented the Eight Diagrams (eight combinations of three Yin or Yang) as the eight drivers cause all changes in the world. From then, Chinese use this theory and method to control changes. For example, they apply this theory in agriculture for doing things in different seasons (like Spring Planting, Summer Growing, Autumn Harvest and Winter Storage). All these are illustrated in the Figure 1. Another ancestor of Chinese named Yan Di (Lei & Sheng, 2011) invented the first version of the Book of Changes named as Lian Shan Yi. There are 64 doubled diagrams that combined two single Eight Diagrams in the Lian Shan Yi and the first doubled diagram is about the mountains. This shows that people think mountains are in the center of the world and all changes in the world are caused by the change of the mountain in Yan Di's time. Chinese then start to use the Book of Changes for control and management. In fact, the Book of Changes is a book about risk management because any change of things may cause risk and need risk management.